Our bodies are made up of 60% water so it makes sense that we should be drinking throughout the day. We need water for our circulation, digestion, absorption and to transport nutrients in our bodies. We all know we should be drinking more but sometimes we just want a little bit more flavor, without the added sugar of course. What if we could get our water intake up, and get some added nutrients in too. Here are 3 recipes that do just that. Pineapple contains bromelain which is an enzyme and a powerful anti-inflammatory. Bromelain not only helps the body heal faster but also reduces aches and pains. When added with fennel it gives a refreshing anise flavor and is useful in calming the digestive system. A 2010 study showed that daily supplementation of pineapple juice led to lower inflammation in mice’s colons. A 2015 study found that just 200mL of pineapple juice every day helped improve participants’ asthma symptoms and lowered their weight. Put the pineapple chunks in a container with 8 glasses of hot water. When cool, add the fennel seeds and leave to soak overnight. You can strain the seeds or chew the fennel seeds for an extra boost. These 3 ingredients pack a lot of vitamin C and antioxidants into 1 drink. Cucumber is packed with vitamins and minerals. The minerals tend to be packed in the peel and the flesh has vitamin C and caffeic acid which reduces inflammation. The lemons give an extra Vitamin C boost, but also contain flavonoids and lemonin which not only strengthen the cells and but also help with detoxification. Mint not only adds great flavor but contains another powerful antioxidant; a phytonutrient called monoterpene. Mix these together and you have a super packed Vitamin C punch. In a container add 8 glasses of water, ½ cucumber cut into slices, 2 lemons sliced and a sprig of mints leaves. Refrigerate overnight and enjoy! Cherries have melatonin to promote healthy sleep. Tart cherries are higher in melatonin than sweet cherries but what a great way to get off to a good night’s sleep! They are also high in anthrocyanins which protect the heart and are anti-inflammatory. Cinnamon has the benefit of regulating blood sugar. The lemons add even more vitamin C to a make a high antioxidant drink. In a warm glass of water add ½ cup of pitted cherries, 2 slices of lemon and a pinch of cinnamon and leave to soak. Drink before bed for a restful sleep. 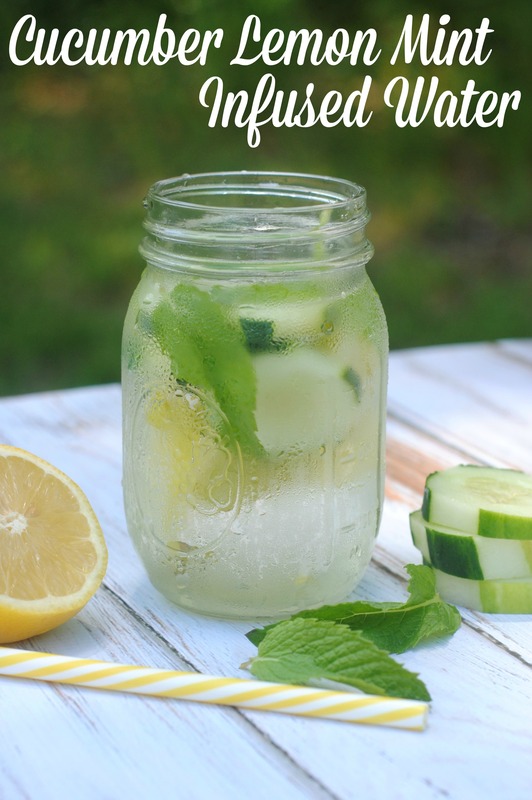 If you enjoyed those, try these 8 delicious detoxing water recipes! This amazing guest post was written by Dr. Simone Burke, a Naturopathic Doctor. You can check out her website here! Dr. Simone Burke is a Naturopathic Doctor and founder of Perfect Health Blueprint – an online membership community which offers step by step online courses to help you manage your weight, energy and hormones, done for you meal plans, monthly challenges, interactive training webinars, exercise tips and a friendly supportive community.